The roots of the 2008 crash, as I set out in my 2014 book, Marx and Engels' Theories of Crisis, were laid in the 1980's. Progressive social democracy had hit the buffers. For reasons I'll come to in reviewing the respective chapter on the long wave, the productivity gains derived in the post-war cycle came to an end, the basis of social-democracy, to raise living standards, on the basis of that rising productivity, came to an end with it. Capital, in the developed economies, saw the potential for higher profits in selected developing economies in Asia, and relocated, creating a new international division of labour. At the same time, capital sought to replace what had become high-cost labour-power with technology. It created a new Innovation Cycle that created the new technologies of the microchip, mobile telephony, the Internet and so on that Paul rightly says continued to mushroom even after 2008 (p 7/8). 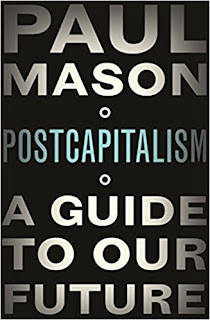 But, as technology replaced labour in the 1980's/90's, in addition to the shift of production to Asia, it also cheapened constant capital, both in terms of the type and quantity of the capital required, and in terms of the cost of producing it. 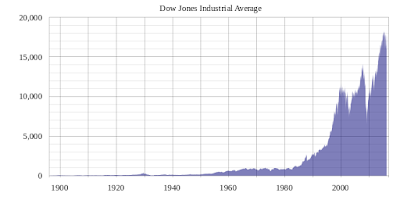 Together with a rising mass of profit, as wages fell, and the rate of surplus value rose, it meant the annual rate of profit rose sharply, and with relatively stagnant growth, it meant the supply of money-capital, from realised profits, exceeded the demand, pushing interest rates ever lower. It meant workers could be encouraged to borrow without limit, so as to maintain their consumption, even as their wages fell, and it meant that vast amounts could be gambled away, in the purchase of various assets, creating the bubbles that burst at regular intervals after 1987, only to be reflated once more, using even more central bank liquidity, leading up to the 2008 crash. I had actually theorised this development back in the early 1980's, in documents written for the then Workers Socialist League. I posted them back in 2009. The subsequent consequences of that, in terms of a bifurcation of the global economy, and of global imbalances, I have also described, and which is also briefly set out by Paul (p 8). For the reasons I've set out earlier, and in numerous posts since 2010, I have never accepted the theories about “secular stagnation”, “long depression” and so on. I didn't, in 2010, myself recognise just to what extent the owners of fictitious capital, and their representatives would go to hold back real capital accumulation, and economic growth, so as to reflate their paper wealth, but it is now clear to me that the economic growth we are now witnessing is despite the measures that have been taken not because of them. 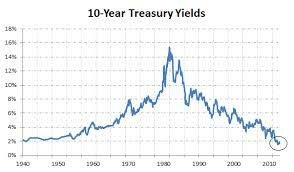 The policy of QE never was intended to reflate the economy by first reflating asset prices. The two things are mutually exclusive goals, and the real intention of reflating the latter, whilst suppressing the former is shown by the simultaneous implementation of austerity. It's one of those slings and arrows of outrageous fortune, when writing about financial markets, that whatever you say today is likely to be contradicted by events tomorrow. But, economic fundamentals are not the same as the vagaries of financial markets. In the end, the economic realities impose themselves also on financial markets, via the movement of profits and the rate of interest, but not immediately and mechanically, because these markets are driven by psychology, and as Keynes said, the markets can remain irrational longer than any individual can remain solvent. So, it's unfortunate that, writing this book in 2015, Paul seems to have fallen foul of some of the errors he also describes in others. Were he writing the book today, just a couple of years later, I would hope that the current synchronised growth, in 90% of the world's economies, back to the levels seen in the early 2000's, would lead him to dismiss the ideas about a system that “never regains its dynamism. Ever.” (p 9), more clearly. 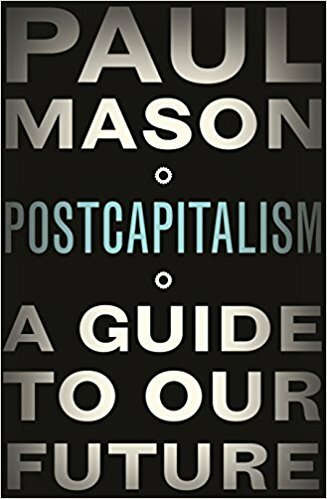 Paul sets out the issues I have described above, on page 9, where he lists four aspects of neoliberalism that enabled it to flourish, but are now destroying it. They are Fiat Money, Financialisation, Global Imbalances and Information Technology. He deals with them in separate sections, and as I have already covered most of this ground, I can skip through most of them. I will address that in Part 5. I didn't, in 2010, myself recognise just to what extent the owners of fictitious capital, and their representatives would go to hold back real capital accumulation, and economic growth, so as to reflate their paper wealth, but it is now clear to me that the economic growth we are now witnessing is despite the measures that have been taken not because of them. 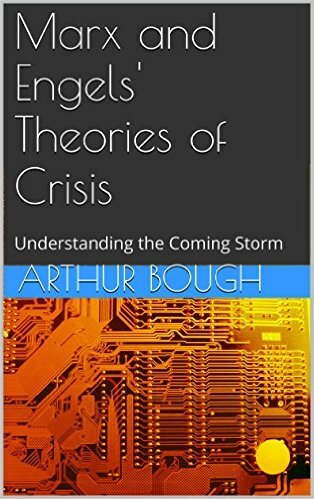 IIRC the "trigger" for the 2008 crash was spiralling oil prices: do you think that governments across Europe (and noticeably less so in the United States, which still produces some of its own oil) may be deliberately keeping their real economies suppressed not just to keep interest rates down (and asset prices up) but also in order to limit oil imports? I don't think the rise in oil prices had any significant effect whatsoever. Global GDP from the 1980's rose seven times faster than the rise in oil consumption, because from the 1970's onwards, capital found ways of using oil far more effectively. After 1999, oil prices quadrupled, but had little effect on growth or inflation. In economies where 80% of value added comes from service industry oil prices have an ever diminishing role, and as I wrote recently, in the next decade electric cars will replace petrol engines anyway. The main role of oil prices, as a I wrote a few years back is that oil producing countries built up large rents, which were recirculated into global financial markets, thereby being one source of the demand for financial assets that pushed up those prices. In fact, as I pointed out in 2008, when I predicted the actual crash, the indication it was about to happen was not the rise in oil prices, but their sharp decline as banks and other financial institutions that had been gambling on oil futures markets, sold them along with everything else they could get their hand on, to get cash. So, no, I don't think they are at all bothered about oil imports, but they are bothered about economies overheating, interest rates rising and asset prices collapsing. Trump's trade war might be a way of trying to cool global growth, but if it is its having contradictory effects. This is not the 1930's nor 1980's. The immediate effect of his tariffs on steel and aluminium has been that the price of washing machines, and other domestic appliances, in the US has risen by 19% already! US workers will see that, at a time when labour shortages are already pushing up US wages. Other suppliers of commodities start to see prices rising fast around them, and jump on the bandwagon. I think we are going to see consumer price inflation rocket in a way the pundits are unable to comprehend, because there are vast oceans of liquidity waiting to swill in and facilitate those price rises. The ECB seems to be totally deluded and disoriented in knowing what day it is, as Draghi's recent speech illustrated. Central banks will have to rush to catch up.